Hey. I'm eventually needing an animated movie that will be about 15-30 minutes in length but first I'm looking for some examples of what you can do. 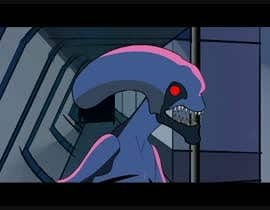 Send me a quick 30 sec animated clip of some scenes with an Alien that looks like the one from the original 1979 Alien movie interacting verbally with another character doing something. Would be good if the background looked like an area of the ship from the movie also. With hallways or control panels etc. The winner of this contest will be considered for making the whole movie depending on the price you can offer. Hi man! Can I do a hand-drawn plus After effects animation? I don't have any artworks. Did you get any of my messages sir? I think something is broken with my messager for some reason. I'm going to check it again soon. I couldn't send any or see any from you either. 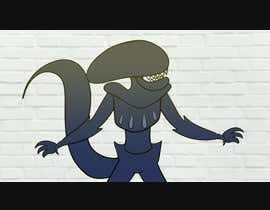 I have provided the alien with character animation you were looking for , but i have never got an update, Can you please confirm if this is the quality and the type of animation you are looking for , and if this is the animation you are looking for , Please let me know your budget for 15 mins of the animation you want me to work on , I will work on it in a comfortable budget of yours. Hi. It's hard to tell with it so short. It would depend on price. 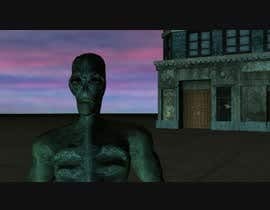 But alien would be better if it looked more like the one from sample video or the current 3 star rated one. The quality you want is like the example video? Or do you want something of higher quality? Hi. Would depend on price. It could be same, worse, or better but would depend on the price for each option so I can consider. i know you are looking for a good quality animation , i have posted a sample of my work with this quality, i can give you at your desired price. have you check #3 , Please give me an update, it is just a one second sample animation. Could you give a script or something simillar so we have something to base the animation on? You could use some of the same script from that video example if you wish. Are you going to provide artworks for the animation?